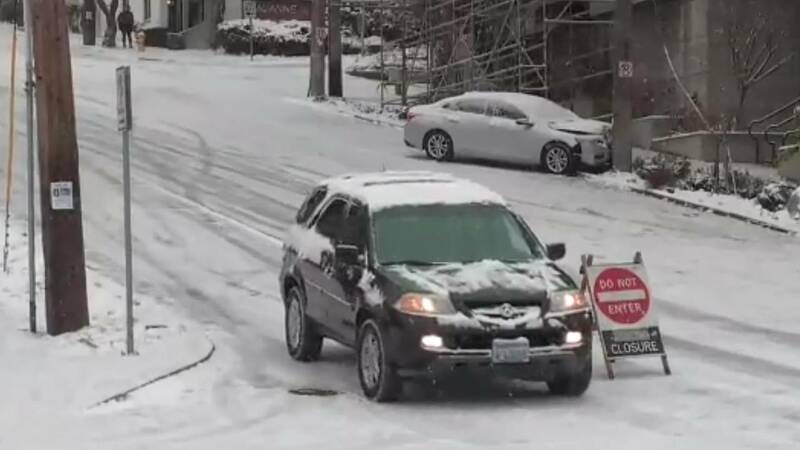 (CNN) - Earlier this week, Seattle was hit with a snowstorm that shut down the city. Some neighborhoods received about half a foot of snow in a city that averages only 6.8 inches in a year. Officially, the Sea-tac airport -- which sits only about 400 feet above sea level -- received a storm total of about 2.7 inches of snow. But Monday's storm may soon seem like just a light dusting after a snowstorm forecast to be even larger slams the region Friday through Saturday. Some of the forecast models show "potentially crippling snowfall amounts for the Seattle, Everett, (and the) Tacoma area westward to the Olympics," according to the National Weather Service in Seattle's Thursday morning forecast. That office has issued a winter storm watch for the area because forecasters believe significant snowfall is likely but not certain. If the forecast holds, a winter storm warning would likely come later Thursday or Friday morning. 8-12 inches of snow is possible for Seattle, although there is a chance of lower amounts like the official measurement on Monday. The last time Seattle had 8 inches of snow or more in one event was in February of 1990, when 9.8 inches fell over two days. If more than one foot of snow falls, it would be the first time in five decades. Seattle has only had seven different snow events totaling a foot or more since 1894.